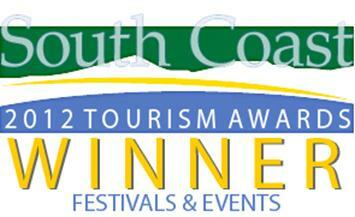 The Ulladulla & Districts Blessing of the Fleet Festival which is co-ordinated by the Milton Ulladulla Rotary Club is the winner of Events and Festivals in the 2012 South Coast Tourism Awards. The Festival Committee was represented at the Awards night in Merimbula (August 2012) by Events Co ordinator Sylvia Franklin, Rotarian Jeff Franklin and Media Consultant Cathy Dunn. 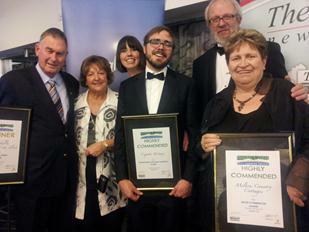 Pictured here with other winners from Milton and Ulladulla – Cuppit’s Winery and Milton Country Cottages. The Rotary Club of Milton Ulladulla uses its resources and engages the services of Lions and Apex members to manage the event each year. The Festival draws upon local year 10 students from the three high schools in the district. Their preparation commences early in the calendar year, seeking sponsors, ballroom dance practice, building of the floats, through to the Princess Ball and the Easter Sunday parade. The origins of the Blessing of the Fleet in the district stretch back to 1956. It is a religious ceremony performed to promote the safety and success of the local fishing fleet and stems back to early Italian times. 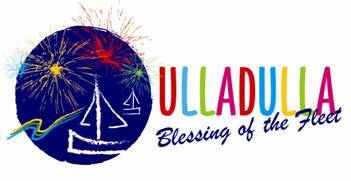 The Ulladulla Fishermen’s Co Operative has supported the event since its inception. The event has grown over the ensuing years to become a family occasion embracing a street parade, entertainment, food, games and fireworks; while still maintaining a religious focus. 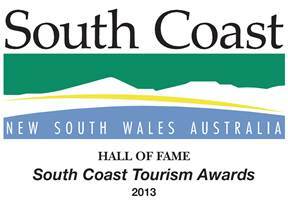 Winning the Award for South Coast Tourism Events & Festivals lifts the profile of the Blessing of the Fleet Festival and provides an automatic finalist entry into NSW Tourism Awards.